How I Fund My Wanderlust? Travelling in non-English speaking country is quite challenging, travelling alone in non-English country for the first time is really challenging! It’s vital to learn their language, at least the basic to survive. As for me I consider the following words/phrases essential during my travel in Japan. Believe me, I was able to survived for 11 days, having these few words and phrases in my pocket. Having Japan language app in your phone or tablet will be helpful too, download free from app store! Japan government will soon lift visa requirement for Filipino tourist in Japan by June 2014. 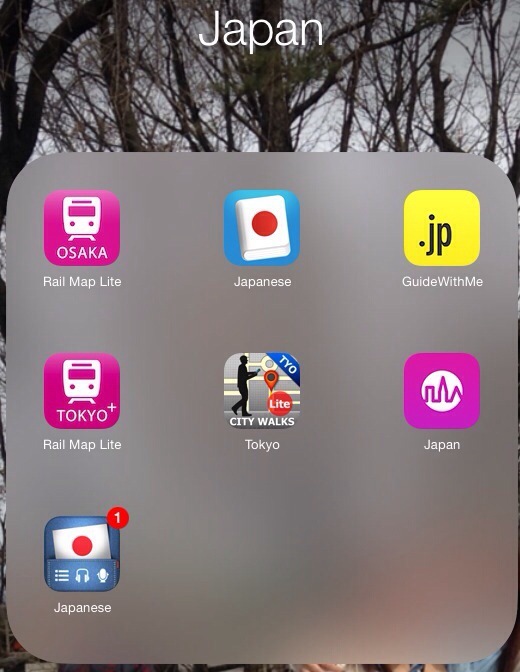 So if you’re planning to go, here are some useful apps that really help me to wander around Japan and see the most beautiful gardens, temples, architecture, museum, taste their delightful ramen, katsu, cutlet, deserts, and experience the goodness and disciplined people, efficient process and technologies, rich culture, extensive train and bus system and a lot more. Japan is not an english speaking country. You will only encounter very few locals who can speak basic eigo (english). So its important that you at least know the basic for general conversation, transportation, direction, accomodation, restaurants and of course shopping! These app, contains all these basic words, written and spoken and its free. These offline apps are free. It contains all the information you need in every city in Japan. Jgwm and triposo, suggests what to see, where to stay, how to get in, how to get around, where to travel next, etc. This is my favorite Japan travel app, since i don’t have internet connection i always check from here where to go next those times I’m lost. You can also check out http://www.japan-guide.com i planned my itinerary from this site. Download these apps from iTunes for free.